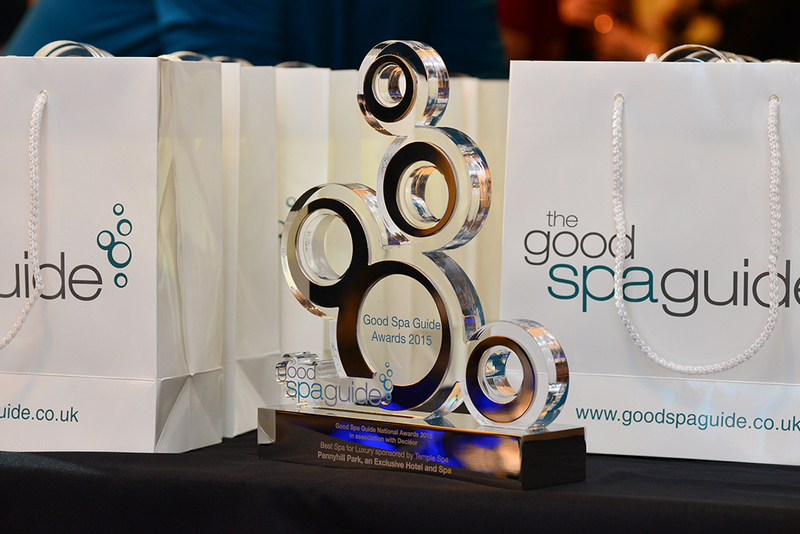 It’s the spa event of the year next week – The Good Spa Guide Awards! Cue me throwing my entire wardrobe all over the floor, proclaiming I have no clothes and having a make-up related meltdown! This year I thought I’d be smart and prevent one crisis by booking a Mii Makeover (30 mins, £33) at Imagine Spa, Blofield Heath in Norfolk. 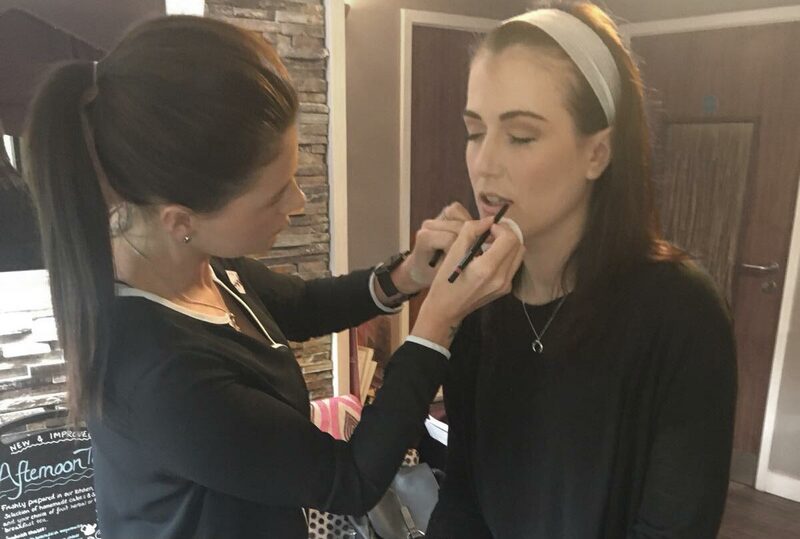 I was lucky enough to sit down with Siane Hennessey, head makeup artist for Mii Cosmetics, and learn a few important tips and tricks while she made me red carpet-ready. Imagine Spa is tucked away down a peaceful country lane. 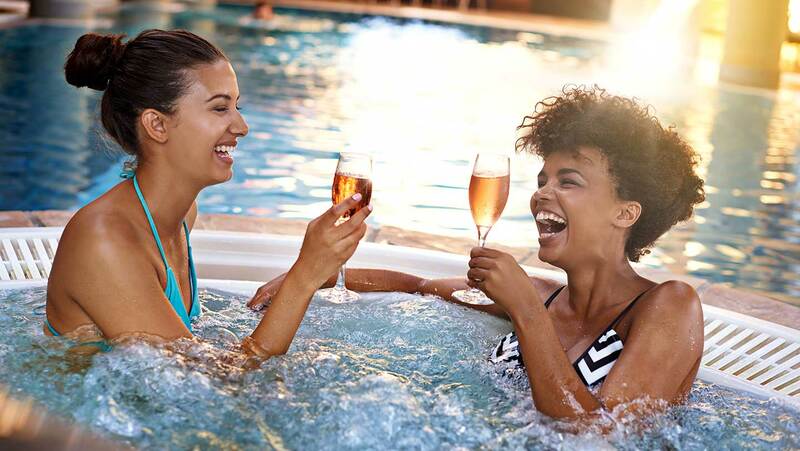 It’s a great place to escape and relax, and I was able to make the most of the hot tub and relaxation pods before my makeover. The spa is also great value, so perfect for a spot of pre-Christmas preening without breaking the bank. I received a warm welcome from Siane and head therapist Emily, then settled down for a chat about my make-up look over a cup of coffee. I decided to go for something that focused on my eyes – a subtle, brown, smoky eye, with winged glittery eyeliner. I’m one of those people who wears lipstick every day, so eye make-up makes me feel extra glamorous. My other priorities were covering pesky hormonal acne scars and ensuring that my make-up lasted. 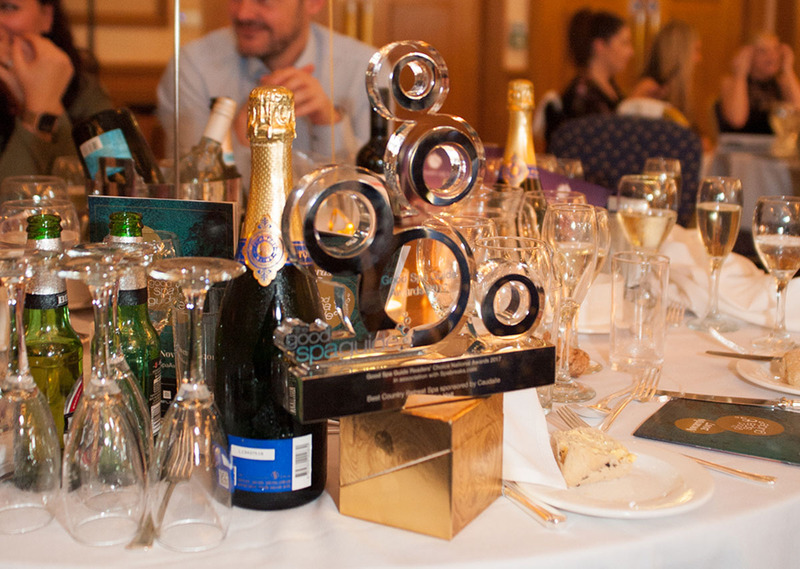 I want to be drinking champagne and dancing, not constantly popping off to powder my nose. The foundation to any good make-up look is happy skin. 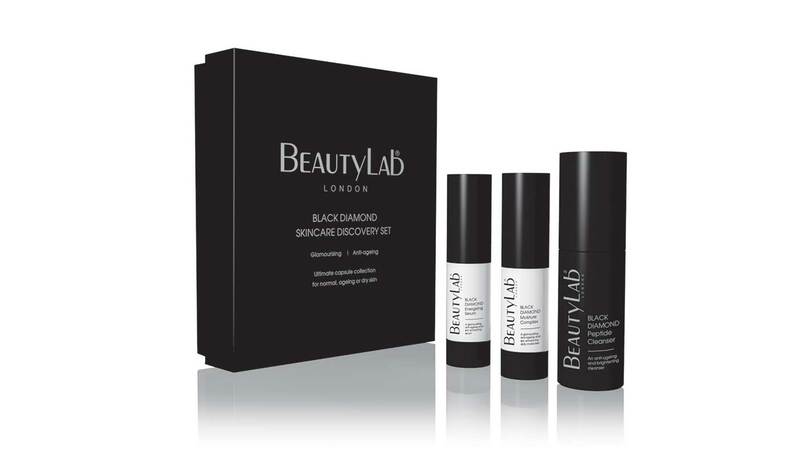 Siane began by giving me a mini facial using the BeautyLab Black Diamond Discovery set. The cleanser felt light and refreshing on my skin and the serum and moisturiser left my skin feeling plump and hydrated. The combination of black diamonds, sapphire and peptides are said to calm the skin, reduce the appearance of wrinkles and blur any imperfections… genius! Siane then began to work on my eyes. She said this is always a good idea when you’re doing a smoky eye so you don’t ruin your flawless base with a little eyeshadow fallout. She began by priming my eyelids using the Mii Cosmetics Enhancing Eye Prep which brightens the eye and helps eyeshadow to stay in place all night long. She then used the one and only eyeshadow in wonder, a gorgeous smoky brown shade in the crease of my eye. For the perfect smoked out effect, run your eyeshadow along your eye socket before blending out and up towards your eyebrow. Siane placed a lighter colour in the centre of my eye, before applying a touch more primer and laying a bit more of the lighter shade on top, she said: "the key to long lasting make up is thin layers". 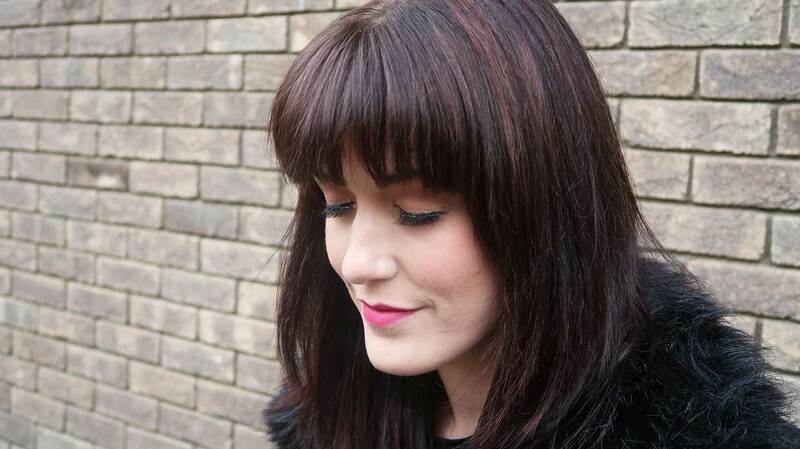 Siane then applied a light layer of the Mineral Irresistible Face Base. This is a mineral foundation, which is great for those with problem skin (it's almost as if it was made for me). Adding this layer underneath the Flawless Face Base evened out my skin tone and blurred out my acne scars. The incredible thing about both of these products is that they are virtually weightless – I couldn’t feel them on my skin at all. 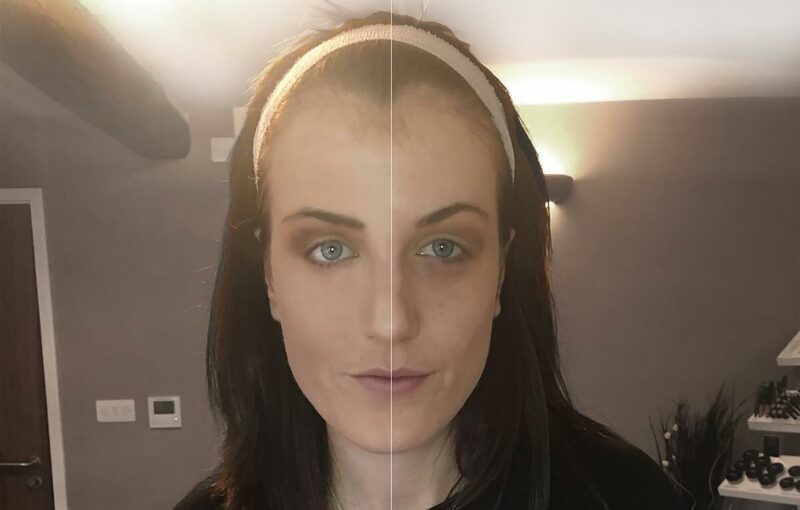 The Pure Colour Concealer and Colour Correcter, also weightless, covered my eye bags and scars like a dream… My skin looked flawless without feeling clogged with product. As we were going for a party look, Siane subtly contoured my face. She used the Flawless Face Base a couple of shades darker and blended this under my jaw bone. To prevent that hollowed out look she asked me to smile, and stopped applying the product when she got to the round of my cheek. She then added the gorgeous Sun Kissed Mineral Bronzer before patting blush on the apples of my cheek bones. If you pat in instead of dragging, it subtly covers any imperfections rather than enhancing them. It was time to finish my eyes. Siane applied the new Showstopper Black Liner; it has a felt tip applicator and glides on well. She then applied the Glitter Glam Liner over the top to add a bit of sparkle (this is now my party essential – it took the look from the desk to the dancefloor!) She applied the Show Stopping Lash Lover, which made my lashes look incredible, and added a pair of Flash Lashes over the top. As a lash virgin I found these a little strange at first, but I loved the overall effect. To finish we used the Alluring Lip Liner to correct my wonky lips (it’s a real thing – honest) and applied the brand new Lip Crème in Sensuous – a gorgeous pink shade over the top. This felt comfortable, hydrating and long lasting. 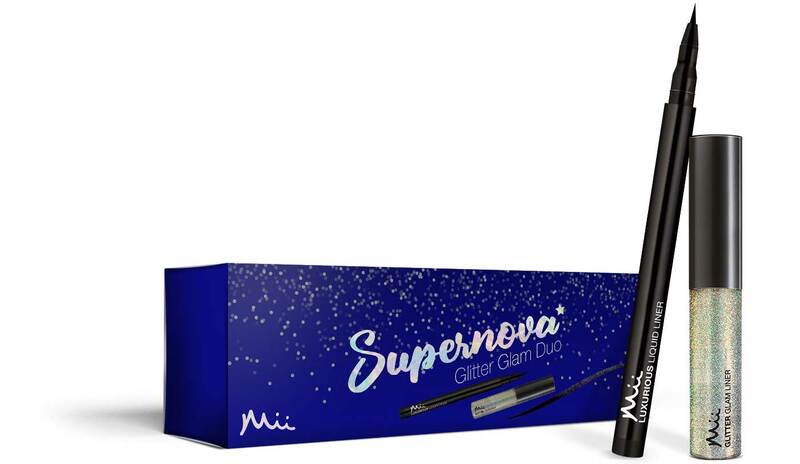 The Supernova Christmas Collection may have made it to my Christmas list. 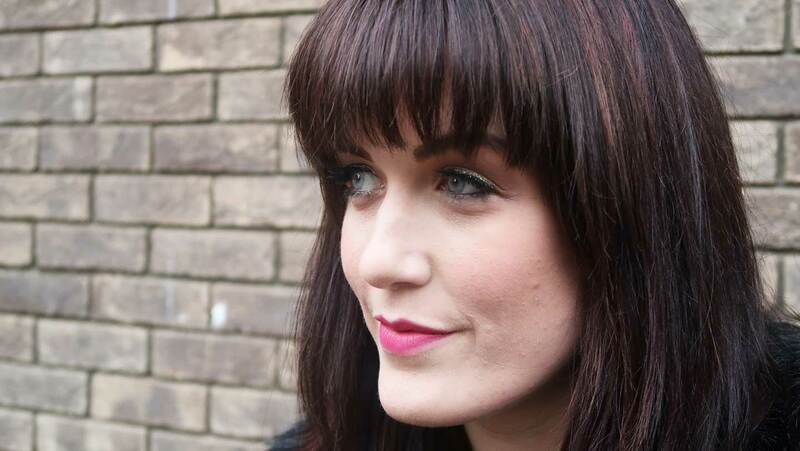 When I looked in the mirror I was amazed: the result was so much better than I imagined. Siane made me look like the best version of myself. What’s more, the make-up lasted all afternoon, right until I reluctantly took it off before bed. I’ve decided that Saine needs to be my personal makeup artist. I also have a wishlist of Mii cosmetics products and brushes longer than my arm. If you’re off to a fabulous party, get ready at the spa with a Mii makeover... it’s so worth it!